The 8th Congressional District of Arizona is holding a special election on April 24th, 2018 for the U.S. House of Representatives in which you have the chance to vote and make history! The election will be held to replace Arizona Rep. Trent Franks. He resigned on December 8, 2017 over sexual misconduct allegations in December. Franks allegedly made unwanted advances towards the female staffers of his office. He approached two female staffers about becoming potential surrogates for him and his wife but the aides were concerned that they were basically being asked to have sexual relations with him (instead of exercising other surrogacy options as in vitro) . I only say allegedly because I am protecting whatever coin I can keep as I am not trying to get sued. However, the man acknowledged he had these discussions with women/female staffers seeking a pregnancy surrogate but denies all other allegations. Women’s Reproductive Rights – She believes elected representatives should support policies that support women’s reproductive rights that are safe, legal, and rare. She also explicitly states that on is ever “pro-abortion” and that one is either pro-choice or anti-choice. 2nd Amendment – She believes Americans should be able to obtain firearms to protect their homes through legal channels. She believes gun violence should be addressed as a public health issue and feels we must find a path for both the 2nd amendment and common sense gun safety reform. The 8th district covers the West Valley from New River south to Goodyear and from Peoria west past the Sun cities. It includes Luke Air Force Base within Maricopa County. In normal circumstances/times it would be expected for conservatives to win this district as Sun City is an area where retirees live and who typically vote Republican. However due to the special elections that we have seen take place this year all eyes are on this election in two weeks as Democrats have been winning in conservative districts such as what happened in Pennsylvania in March . You can read more about the results of that special election that happened by clicking here. Or do you remember what happened in Alabama? Black voters were key to propelling Doug Jones to victory for his Alabama win . And let me emphasize, BLACK WOMEN were pivotal voters in that election! We showed up and showed out! You can read more about that by clicking here. In summary, if you don’t like the landscape of what we see everyday now then know this…folks did not show up to the polls for the 2016 election. If you have learned nothing else just know that your voice matters and you can ask the citizens of Alabama and Pennsylvania who it worked out to SHOW UP TO THE POLLS! But also hold these elected officials accountable! 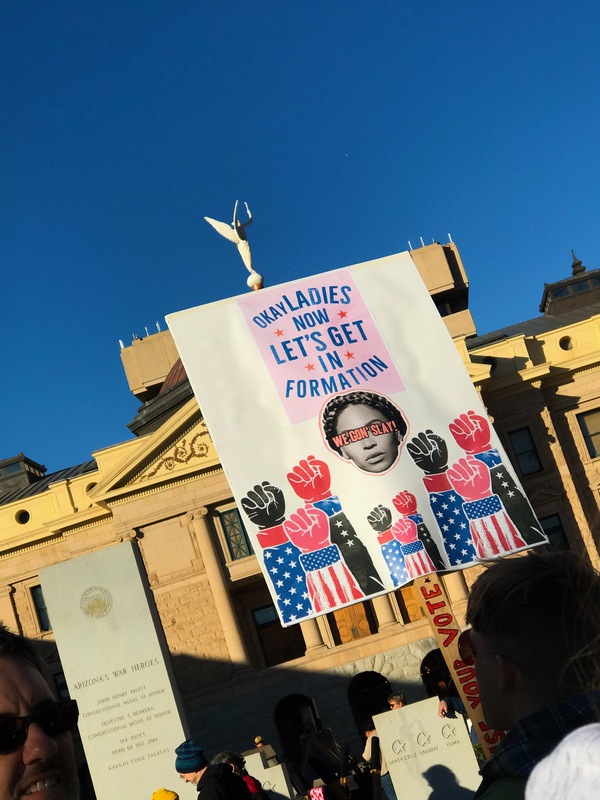 Again, the 8th Congressional district consists of the following Arizona cities – parts of Anthem, Avondale, El Mirage, Glendale, Goodyear, Litchfield Park, New River, Peoria, Phoenix, the Sun Cities, Surprise and Youngtown. If you live within these areas of the 8th district you can find out by going to this website – https://recorder.maricopa.gov/pollingplace/ or by clicking here. This is motivation for me to become more involved in my community and what’s going on around me. I love how you are giving your readers all the resources needed to both get involved and make an informed and intelligent decision.